Inspired by authentic Kelim and Persian carpets, reinvented by Fatboy. Featuring unexpected detailing and beautifully faded patterns the Non-Flying Carpets create instant atmosphere with a typical Fatboy twist. If you’re looking for a design to fit your garden terrace our Mediterranean tile inspired Non-Flying carpets might be your perfect match. 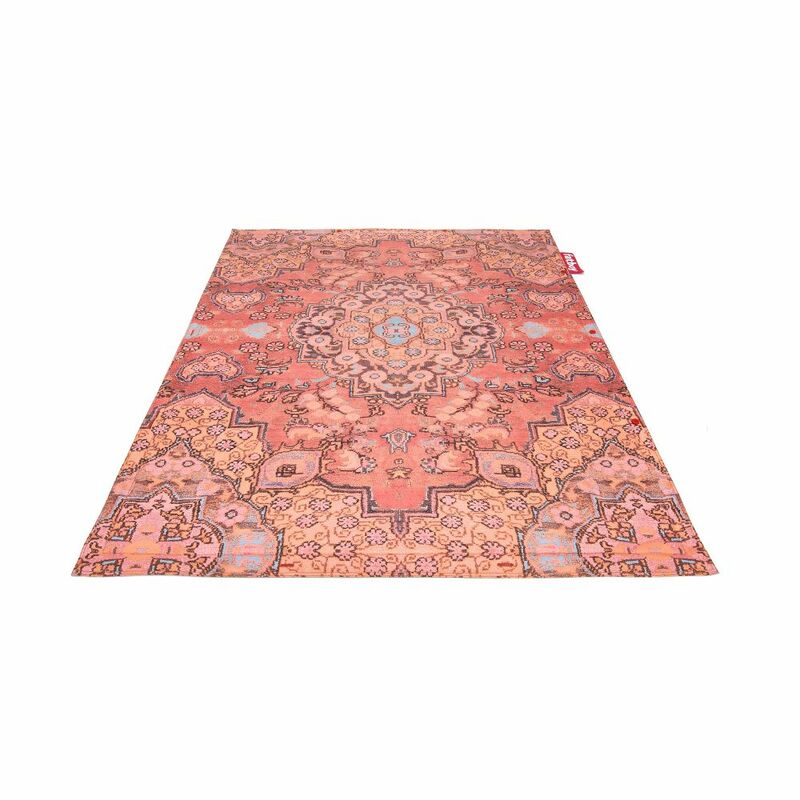 Thanks to the Non-Flying Carpet’s distinctive red buttons you can infinitely extend its size by joining a second, third or even fourth rug, and so on. This way you can easily create a decorative patchwork carpet in the size, colours and patterns of your choice. The Non-Flying Carpets are meant for in- and outdoor use. The underside of the Non-Flying Carpet features an anti-slip layer. Its water-resistant top coating allows you to use these elegant rugs wherever you like! Brighten up your garden, roof terrace or living room in no time with the Non-Flying Carpet!